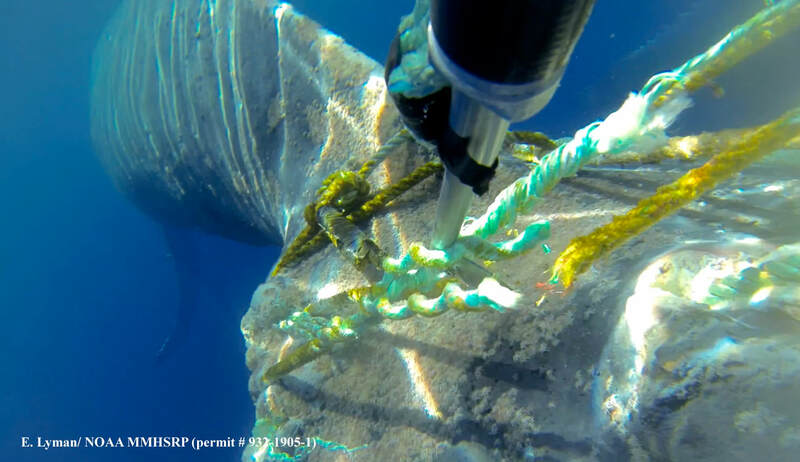 Pop quiz: how do you disentangle a 40-ton whale from a tangle of fishing gear? If you said very carefully, you're exactly right. Each year, thousands of whales, dolphins, porpoises and seals become entangled in marine debris. It's a lethal event: nets and other debris can actually drown smaller mammals like dolphins and seals, whereas bigger animals, like humpback whales, find their movement restricted and their bodies injured. Fortunately, these animals are not alone. For 13 years, the Hawaiian Islands Disentanglement Network has been working to free marine animals in the waters surrounding the Hawaiian Islands. 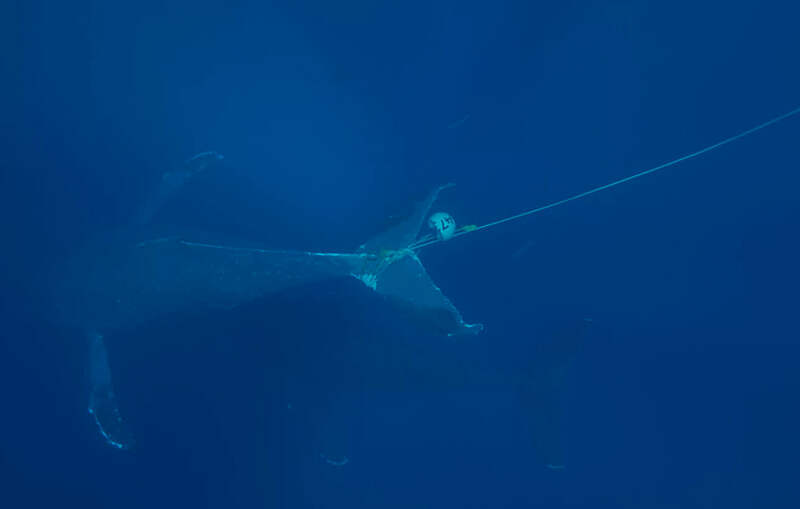 As of this year, the partnership, which includes Hawaiian Islands Humpback Whale National Marine Sanctuary working closely with NOAA Fisheries, has freed 22 large whales from life-threatening entanglements and recovered more than 9,500 feet of larger gauge line from entangled whales. The sanctuary and its partners have also helped free many other marine animals, including sea turtles, mantas, dolphins, and monk seals – and in 2013, the team rescued a humpback calf, the first disentanglement of a such a young whale in Hawaiian waters. "Freeing a 45-ton animal in the open ocean is dangerous for the animal and rescuers," points out Ed Lyman, the sanctuary's Marine Mammal Response Manager. So how do you free a 45-foot whale without injuring it (or yourself!) further? First off, crew are heavily trained, operating under authorization and permits under NOAA Fisheries' Marine Mammal Health and Stranding Response Program and the state of Hawai'i's Department of Land and Natural Resources. 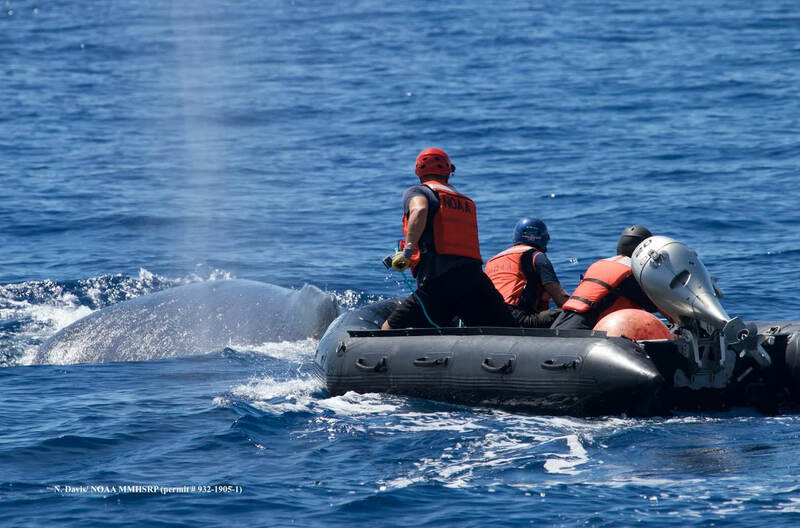 It's not just anyone approaching these entangled whales; these responders have practiced and know what they're doing. They're also well-equipped: using specially designed knives on long poles, the rescue crew can cut a whale free without ever having to get in the water with it. And while removing 9,500 feet of line from 22 whales is no small feat, Lyman is quick to point out that it's only one part of the solution. "While disentanglement efforts may free an animal from a life-threatening entanglement," he says, "it's not the long-term answer to the problem. Rather, we need to reduce the rate in which entanglements occur." And that means putting less debris into the ocean, so we have to take less out. 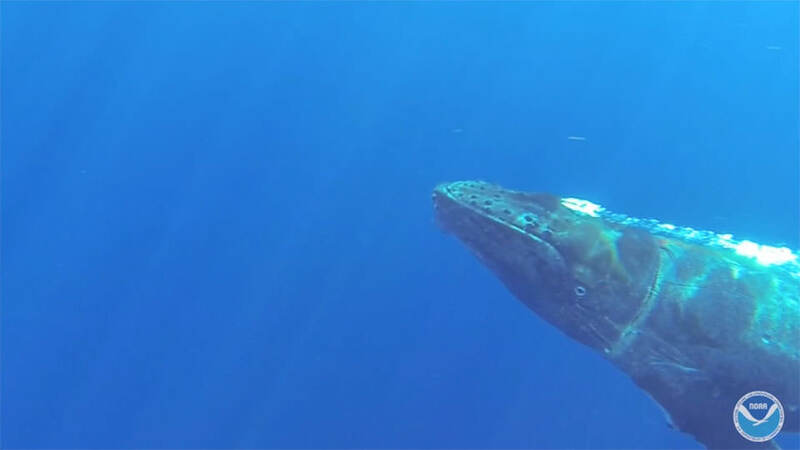 Learn more about humpback whale entanglement. If you're out on the water and spot an entangled whale, do not attempt to free it. Instead, contact NOAA Fisheries at 1-888-256-9840 or contact the United States Coast Guard on VHF channel 16 (156.8 Mhz).